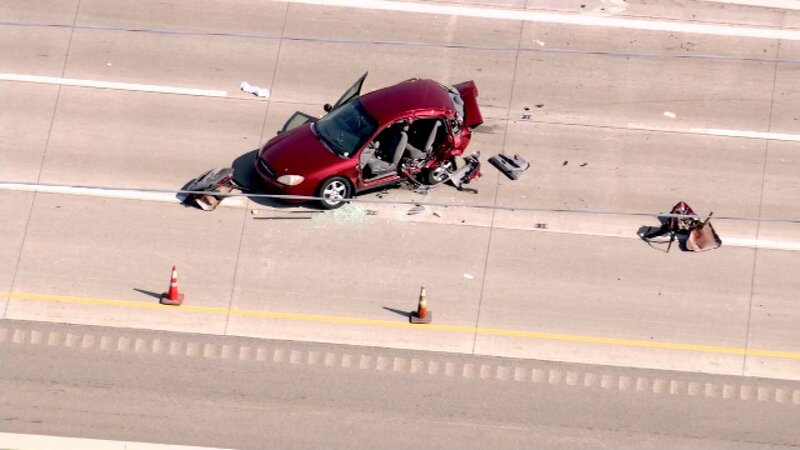 GILBERTS, Ill. (WLS) -- A 3-year-old boy from Rockford was killed in a crash on the Northwest Tollway near Route 47 in far northwest suburban Huntley Thursday morning. Investigators said the car the boy was in was heading westbound near Gilberts when it slowed down in the middle of traffic, leading to a chain reaction crash. Three other people were hurt. About an hour later, another crash occurred in Hoffman Estates. Firefighters had to work to free people trapped in their vehicles. Authorities have not provided information on injuries in that crash. State police continue to investigate both crashes.